Path is a case of simplicity that holds a formidable joy. If you enjoyed games like Wave Wave, Dot Wave, Jelly Jump, Duet and the other twitch games, you will appreciate this little indie gem. Parrotgames looks like a developer I am going to keep an eye on. 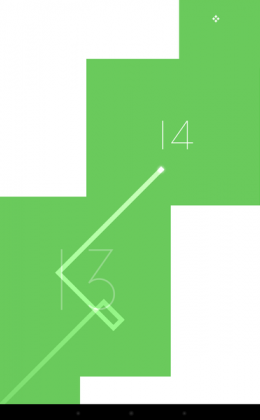 These guys, or girls, seem to have adopted a Ketchapp approach – they take a simple concept that has the potential to develop into an addicting gameplay and wrap it in attractive visuals. The rest is a free model supported by ads. Voila! 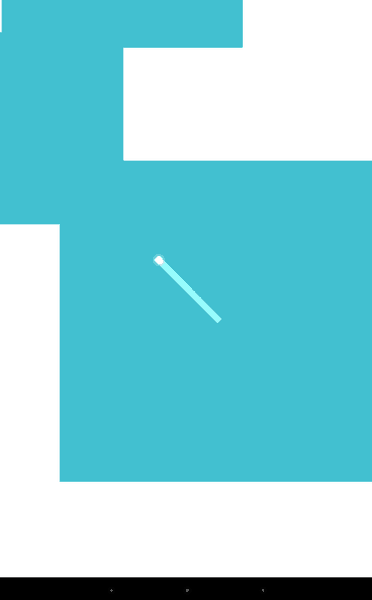 A few positive reviews and an appealing icon do the rest – pitch the user to try it. The game does not require many permissions to run, and it’s a fast download. 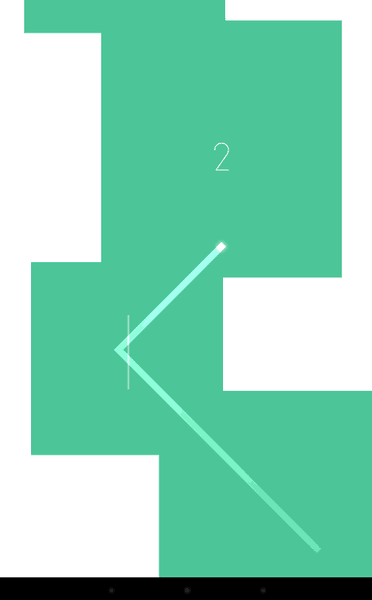 In a matter of 20 seconds you will be playing – no nags, no lags. I don’t mind tolerating a few ads here and there if it means I can play an addicting time killer for free, so Parrotgames offer a win-win solution. 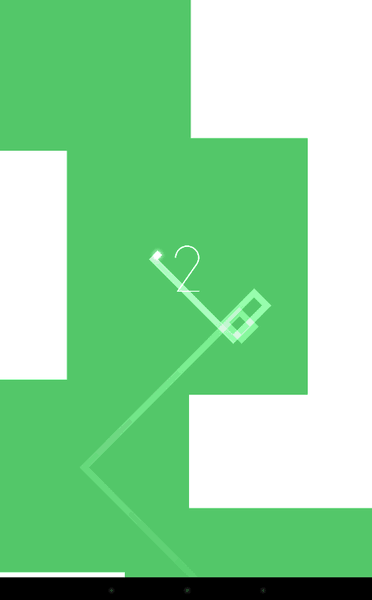 Path has you controlling a tiny speck of light shaped like a cube. Well, it’s a square in the least. 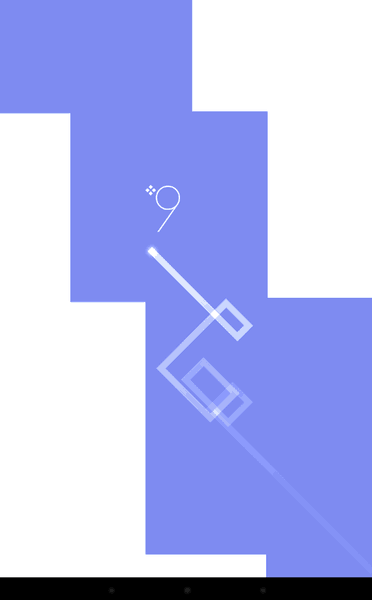 It moves in straight lines, and as you tap, it changes direction 90 degrees clock-wise. It’s always one tap – 90 degrees turn – always clock-wise. Hence, the shiny square moves in diagonal patterns, following your instructions. Simple one-touch controls make it seemingly easy, but there is a great challenge – the environment. Set in a minimalist space, our little traveler lives in a space of square and rectangular rooms and passageways. They are continuously interconnected, so there won’t be any bad tricks like dead ends, but some rooms are more spacious than others and some corridors are teeny tiny. The shiny square moves non-stop, so you have to time your taps perfectly to maneuver from one area to another without hitting the walls. Once you hit the wall it’s a game over case. The game counts your high score in the number of rooms you’ve passed. You can share your score via Facebook or Twitter, if you’re the competitive kind. 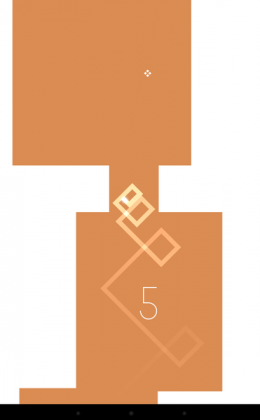 However, the main charm of this game is its accessibility and availability – instant, which is perfect for the on-the-go gameplay, in short sessions. 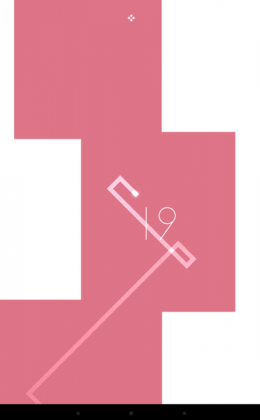 The way the square can move in square or rectangular “circles” makes navigating the rectangular spaces a wonderful dance of speed and geometry, but also good hand-eye coordination and spatial skills. This kind of challenge is perfect for anyone fond of pure forms, geometry, fast-paced twitch games, or kids. It also involves logic and quick thinking, so there is no way you can go wrong with Path if you are looking for a beautiful, free time killer. I wouldn’t say it is the hardest-est twitch game there is, but it certainly holds a challenge worth beating. There are checkpoints, but they are not so easy to reach, so until the moment you reach level 20 you restart from zero every time. Sometimes, there would be shiny specks in the rooms, and you should try to get them – some contain time (or speed?) 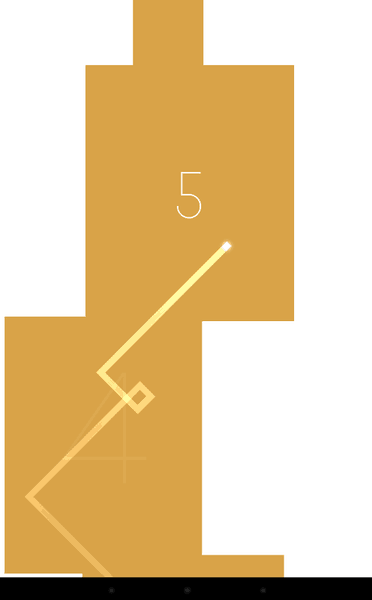 slowing elements, so your square moves slower during the next couple of rooms. 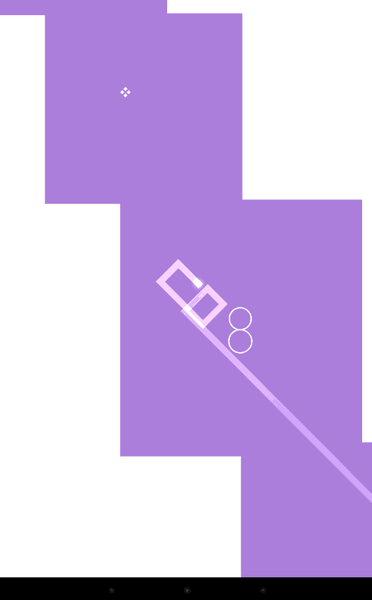 Overall, the difficulty is enjoyable and rewarding, as opposed to some of the twitch games aggravating approach. One other thing I’ve noticed – the rooms layouts seem to be randomly generated, so each replay can be different. It’s different in rooms, corridors and passageways, but also in the color scheme. And beautiful it is if you appreciate the pure, minimalist style, clean, light colors, somewhat Tron-like shading and a wonderfully atmospheric soundtrack. When the gameplay is addicting and hard, an ambient sound score and relaxing, eye-pleasing design is enough to make it your next favorite twitch fun. I’ve spent a few hours collectively on one device, and then installed Path on another device and now spending some more. I have no idea when that addiction factor wades, but Path has exceeded some of the premium games I have in terms of the novelty factor. It definitely keeps a firm grasp with its hard, yet accessible challenge. 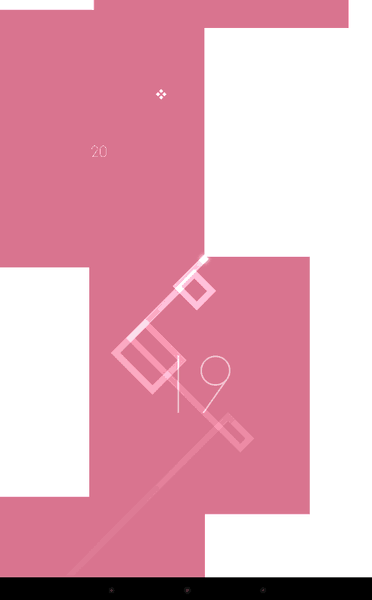 Add the randomly generated layouts and color schemes, and you have a fresh challenge with each replay. Multiply that by the fact that there is no price to pay, or a questionable app permission to tolerate and you get a perfect go-to mobile entertainment. Path is free and ad-supported. I found the ads tolerable, and I appreciate the fact that I can passively benefit the indie developer by simply watching an ad or two during my gameplay. 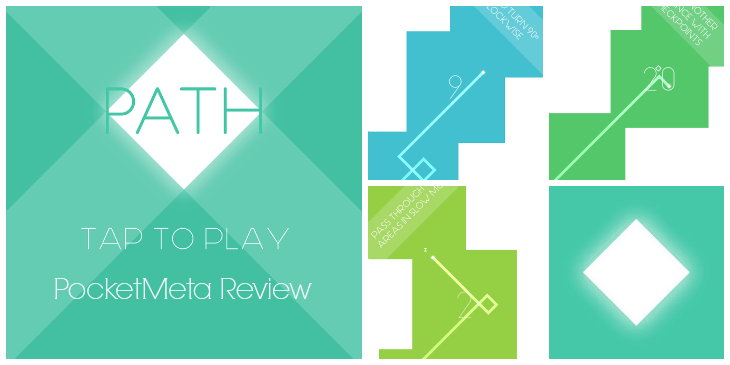 Path looks like a hidden gem and we encourage you should try it. It is an interesting, very addicting and fresh twitch game with excellent graphics, smooth gameplay, and a wonderful ambient soundtrack. Zero IAPs, a few ads to support the developer, and no connection requirements make it a fair deal. 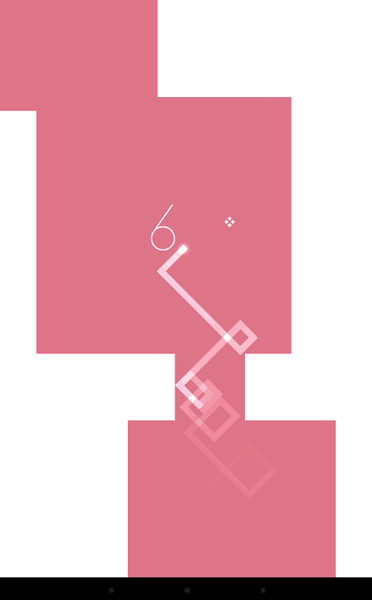 Most importantly, the gameplay is a perfect combination of a hard challenge and a rewarding feeling of accomplishment, topped with a minimalist, yet exquisite esthetic. Get it – it’s a very good game. Path is an interesting, very addicting and fresh twitch game with excellent graphics, smooth gameplay, and a wonderful ambient soundtrack. Get it – it's a very good game.